25 Ramadan 2014: Be who you are – Welcome to Ramadan Living™ 2018! Take your friend, relative, spouse, child, neighbor, parent … do you know them? Like really know them? Do you know yourself? Masks are not new and have always been the norm in society since Adam PBUH was created. It all started when Adam PBUH was in heaven with Satan’s insistent deception of being Adam’s ally and friend convincing him to eat from the forbidden tree. 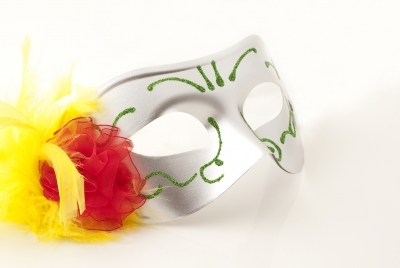 Some may say that masks do not necessarily mean deception, but instead, masks are about showing your “best side”. In my view, if I was showing my “best side”, I would probably be aiming for good manners and character including kindness, love, and sincerity, in other words, my best self and not a different self, which is what a mask does. And the notion of ‘looking the part to be the part’, is simply non-sense. No one ever got anywhere with ‘being the part’, they got there with hard work and with destiny and luck on their side. I say, we are all beautiful, and we have nothing to fear, let us not fear anyone. We are people living together on this earth trying to survive, trying to make this world bearable and enjoyable and full of goodness. Nothing I do or say will take away something you have or will get, and nothing I do or say will give you anything you don’t have or will not get …. this is all destiny. May god bless us in these last few blessed days of Ramadan 2014 with the ability to be confident of who we are, brave yet kind, gentle and honest. May we not follow a crowd, may we follow ourselves. We all have a story to tell, and if we can’t speak and ‘be’ that story, then what do we leave behind? Who are we? What have we done in our short time on earth?? ?